Astra’s Biggest Sale of the Year! CYBER MONDAY SALE! Get up to 30% OFF + A chance to win an all-new MacBook Air! 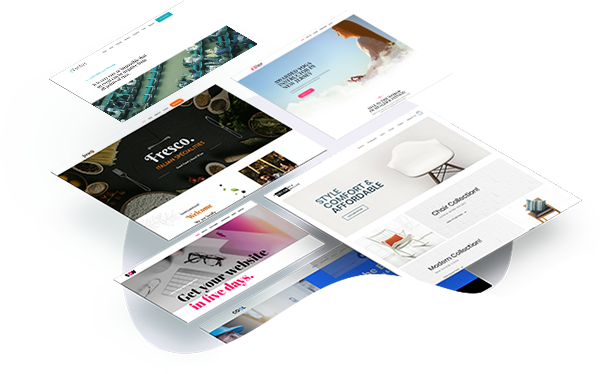 Join 100,000+ users using the Astra theme to build stunning and faster-loading websites. Astra gives you a rock-solid foundation and a painless website building experience. 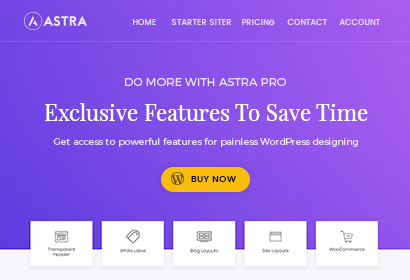 Astra is a lightning fast & highly customizable WordPress theme offering deeper integration with popular page builders and lots of flexibility to build and design fast loading websites. A rock-solid and secure foundation for your WordPress website! Astra Pro is built to enhance the possibilities of the Astra theme and take the pain out of the website designing process! 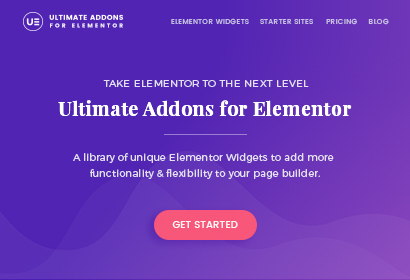 This addon gives you advanced modules and features for customizations like different header and footer designs, typography control, colors, backgrounds, blog layouts and a lot more without writing a single line of code. While developing Astra Pro, we have taken special efforts to make customization easier and speed up the website development process. Astra also offers smarter, deeper integrations and works seamlessly with all major plugins like Elementor, Beaver Builder, WooCommerce, Easy Digital Downloads, Lifter LMS, LearnDash, etc. giving you a perfect time-saving solution and a joyful website building experience. 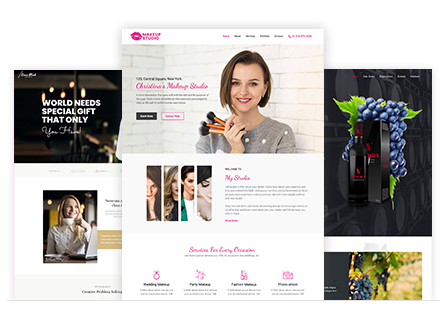 In order to keep things fast, lightweight and get complete design control, you need the best theme and a powerful page builder to build your website. Astra works seamlessly with all your favorite page builders, giving you complete design freedom. 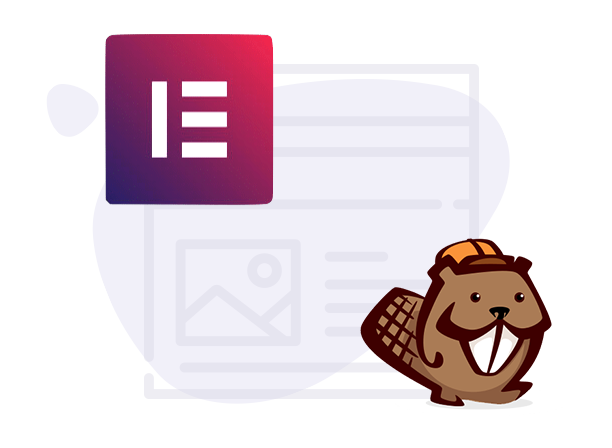 If you're using Elementor or Beaver Builder, we’ve also created a Mini Agency Bundle that lets you put your favorite page builder into overdrive. 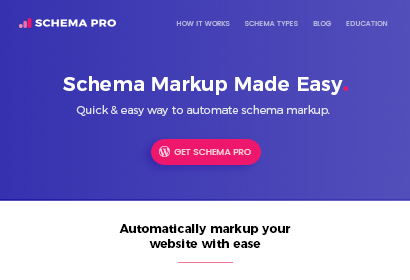 This bundle lets you design and build websites on a strong foundation laid by Astra, build pages with your favorite page builder and take it to the next level with the Ultimate Addons. 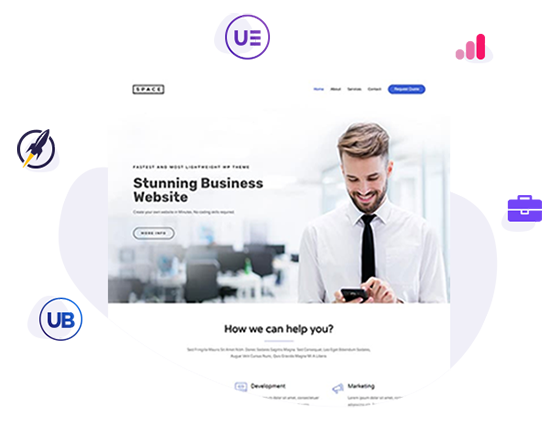 You also get access to over 50+ professionally designed ready-made website demos that can be imported, tweaked and used directly to build a website. 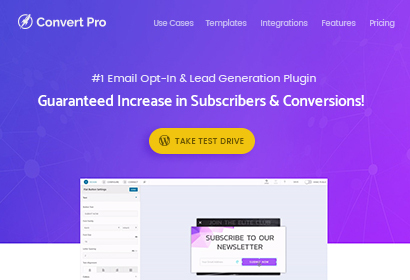 We know you want to set your clients up for success, which is why we offer a complete package of essential WordPress plugins that won't just help you make beautiful sites, but will also make sure the sites you build are ready to rank and convert. The Astra Pro addon that extends the features and functionalities of the theme. 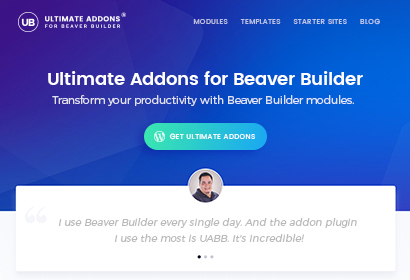 Ultimate Addons for Beaver Builder and Elementor to enhance the possibilities of your favorite page builder. 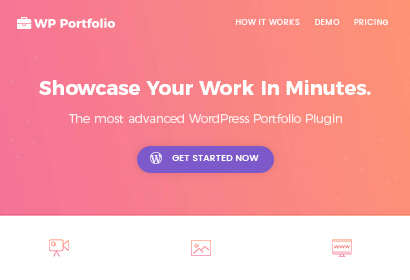 WP Portfolio - a beautiful way to showcase your work. 50+ beautifully designed ready-to-use full website demos. Why 100,000+ Websites Trust Astra? We built Astra to be everything you need in a theme. Be it the speed or readiness to face the future! Even though WordPress 5.0 isn't out yet, Astra is already fully Gutenberg compatible and ready to go. Receiving help at the right time comes like a blessing and we want you to feel blessed with our support that will help you in your times of need. Astra offers seamless integrations with various platforms like WooCommerce, Lifter LMS, LearnDash, etc. You can now create faster loading stores and offer online courses. Creating websites from scratch will no longer be a pain! You can simply import one of the 100+ options and go live with just a few tweaks! Built on the real-time, visual WordPress Customizer Astra is user-friendly while still giving you plenty of control. A SALE YOU DON’T WANT TO MISS! This year’s Black Friday Sale is going to be crazy awesome! It is our biggest discount of all time and comes only once a year. This is the best time to purchase your favorite license or upgrade to one!